As Irma has now passed our weather is once again pleasant with calm seas and only scattered and occasional showers. Warm and close, bring lots of water. 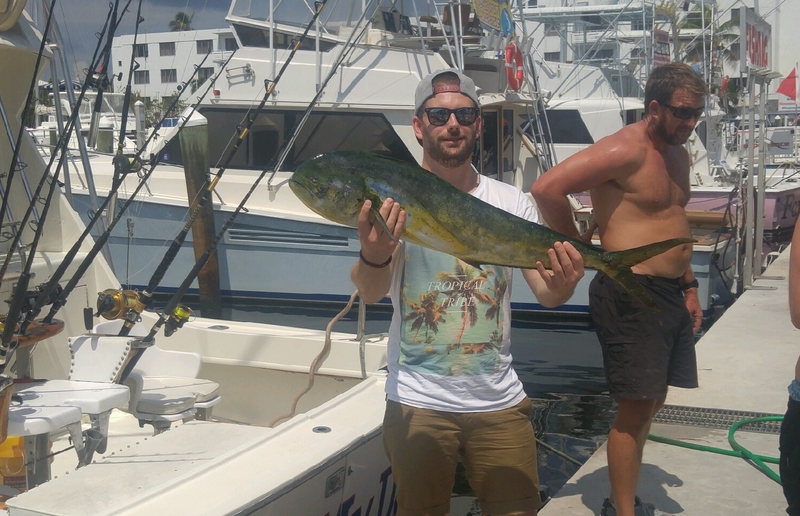 Fort Lauderdale fishing has been good both near shore and also off the edge in the deeper water. 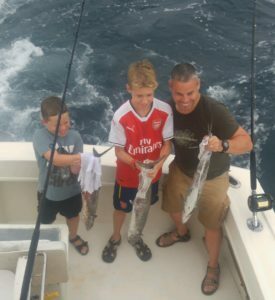 Kingfish have been biting on the reefs and in good numbers, but many are smaller. 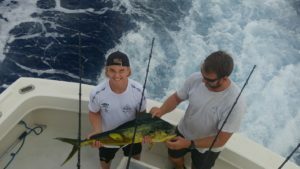 Mahi-Mahi have been regulars on debris and weed patches on the outside and the majority are easily of keeper size with most being gaffers. A steady flow of debris from locations below us whacked by Irma has been carried by us on the prevailing north current. Lots of debris including trees, root balls, lumber and all types of weeds. All the debris would be of little value if it weren’t holding bait. It is holding a ton of bait. All the usual weedy food chain little guys such as Filefish and small Triggerfish which Mahi-Mahi love. Lots of little bite sized Jacks in big numbers. Even with the abundance of resident baitfish the Mahi have been fairly aggressive. An abundance of bait near shore as well has kept our bait wells full. The annual mullet run has just begun and finger sized ones are the first to arrive here, easily caught and held in our wells, and the Mahi can’t resist them on most days when cast to them on spin. 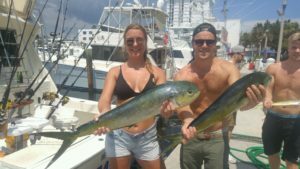 We have had big plugs in the spread but no sightings nor shots at Marlin despite the good numbers of Mahi-Mahi. We have also tried the debris offshore for Wahoo as it often holds them, but there have only been a few, and they are small.